It's only a couple of days since pancake day and if you, like me have been having yearnings to repeat that delicious treat already, I've got just the recipe for you! I saw this one somewhere online and I was so excited to read it (and the recipe was so simple) I didn't manage to note down where I first saw it! First up, the ingredients. 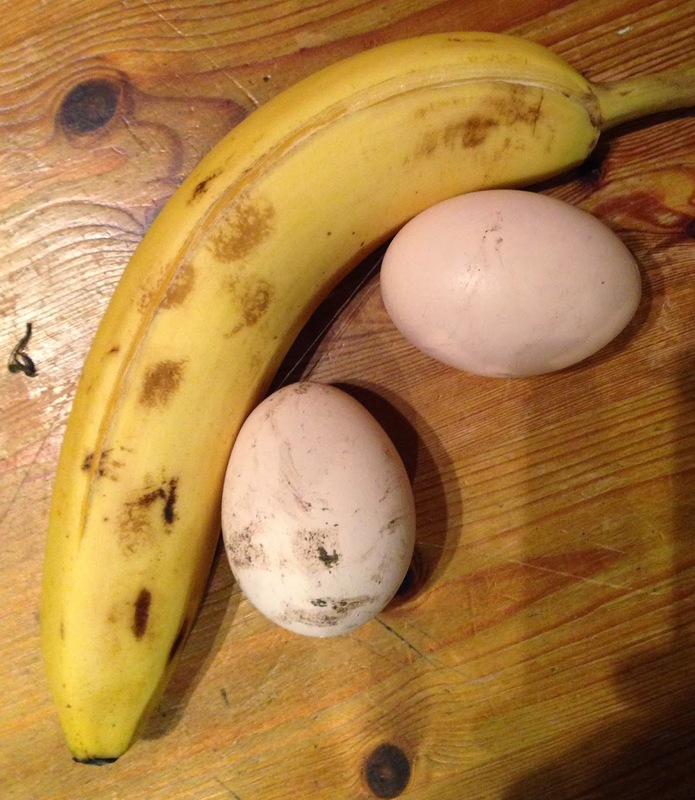 All you need is a banana and two eggs. Seriously - that's it! Pop the eggs and the banana into a bowl and give it a good old whisk. 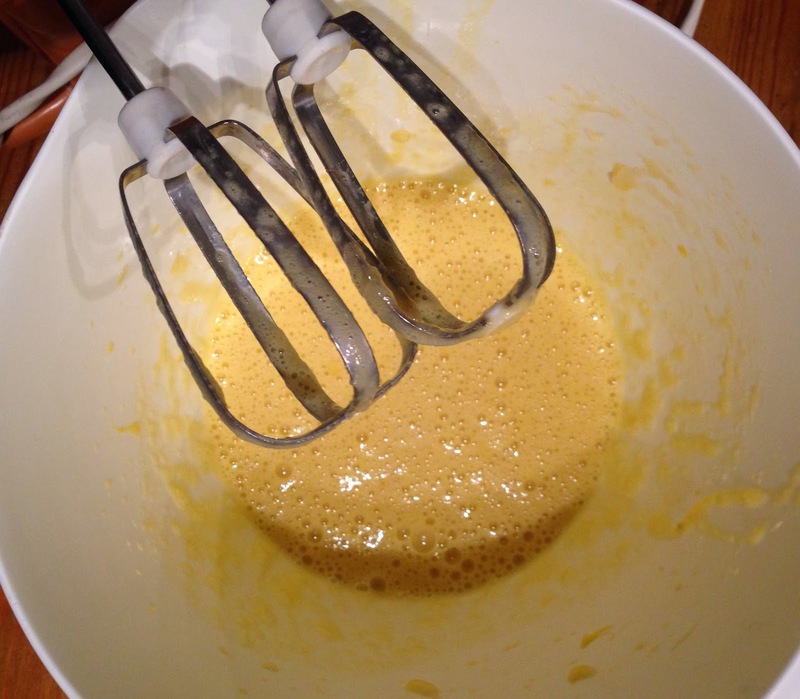 I use an electric hand mix as it's good to get it as smooth as possible like 'real' batter. Add a sparing amount of oil to a frying pan and heat up really well. Drain off any excess oil and spoon in 1 tablespoon of mixture. 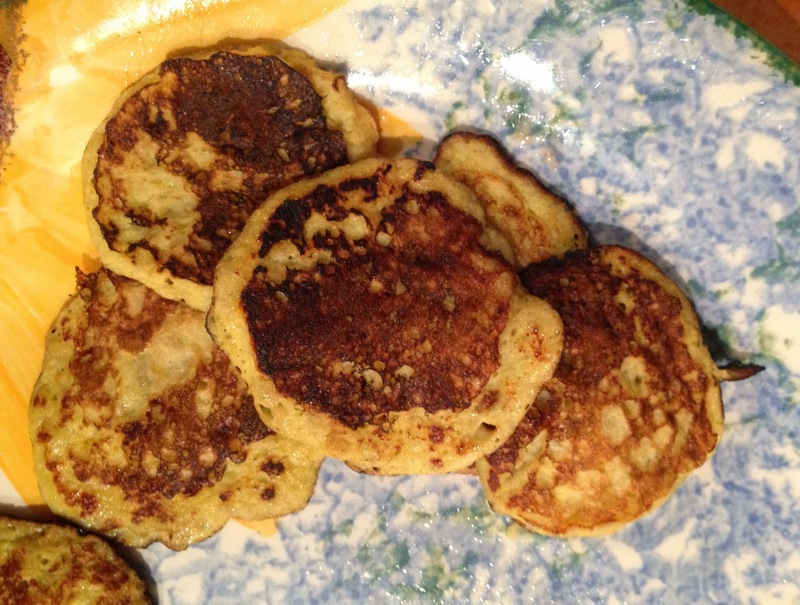 Allow to cook until you see bubbling on the top (just like with regular Scotch Pancakes), then flip over for about a minute. Serve just as they are (they are wonderfully sweet due to the natural sugars in the banana) or add a little lemon juice for a delicious mix of sweet and sour flavours! I really couldn't get over how delicious these are, and at just 250 calories for a whole batch it's hard to think of a reason to not knock up a batch of these for any excuse. With no refined sugar and plenty of protein and fibre I've even added it to my My Fitness Pal app as a custom recipe for future ease of use! Am going to try them! Mind the Gap. Dupe find of the week!